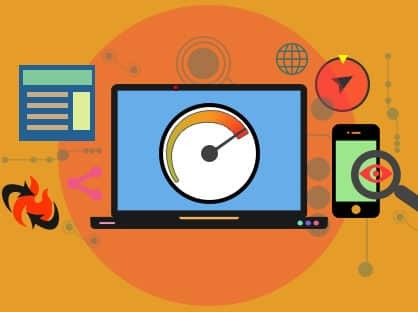 Content marketing industry has a widespread myth that guest posting isn’t a good strategy to follow when it comes to improving the SEO performance of the website. Wherein the fact tells a story which is precisely the opposite of the belief. Guest posting has its own merits and we are going to discuss them in this article. Some people’s idea of blogging is brash copy-pasting content or simply spamming unnecessary and unimportant information with the sole purpose of crowding the white spaces on the blog. The truth be told, this is not going to be fruitful for you or anyone else for that matter. Simply crowding the blog with unnecessary information is not going to get you traffic rather people might start ignoring the emails about any new content or worse might report you as spam. You have an opportunity to reach the users, followers and readers; why not take advantage of that? You should use that space to do something more creative and constructive instead of wasting yours or anyone’s time. Now, that being said, you should always keep in mind that any credible website without any follow links is not really going to help you enhance your website’s search engine ranking. Now imagine reputed social media accounts sharing your content, it is going to benefit your website’s ranking in a longer run and also give you a broader reader base. One indirect means of enhancing your website’s SEO ranking can be using the traditional and classic and established SEO tips. For instance, usage of relevant keywords in headlines and page titles, integrating H1 tags in HTML formatting etc. However, every company uses these traditional methods based on their guidelines and policies regarding the content. These guidelines and policies remain same for guest blogging too. In fact, in guest blogging your content is being shared by the blogger on various different social media platforms apart from yours. Hence, you getting a broader reader base and a chance to connect and reach out to people out of your network too. If it is possible then, try to organize interviews with renowned guest bloggers who have reliable knowledge in working with famous websites. Also, collect these interviews as e-books and hand out them online for free via numerous platforms. It will give you double benefits. Firstly, these well-known guest bloggers relish an enormous reader base, and if they favour to offer support to your e-book that comprises their interviews, you can be guaranteed of garnering huge traffic from both the readers and the website owners. You drive traffic on your website from the inbound links that are embedded within the e-books. Second, the mushrooming traffic that is driven to your website through their backing you up not only helps you in getting more hits but also might translates into better business opportunities. Take benefit of this and try to get some well-known and established guest bloggers on-board to endorse and recommend your e-books into their network, through their official social media accounts. This will further boost the traffic and increase engagement on your website, which is highly recommended and beneficial for your ranking in search engine to improve..